I just couldn’t eat another order of Chick-Fil-A French fries and fruit bowl. Don’t get me wrong–this allergic foodie is thrilled to get any fast food while on the road, but after two days in the car, I was craving something more. Thank goodness for gluten-free/allergy-free iPhone apps! I searched a few for the of St. Louis area. One cafe/bakery kept popping up: New Day Gluten Free. With a little whining and a lot of begging, I convinced my husband to pull off the Interstate and head for Ellisville, MO. We found the bakery in a nondescript strip mall and parked. When I saw the sign on the front door, I knew I’d found the perfect lunch spot! 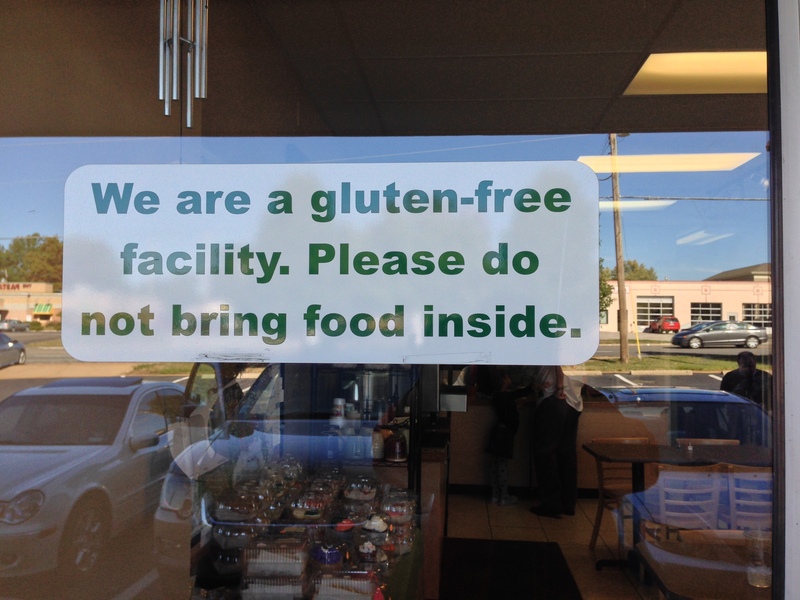 No outside food allowed at New Day Gluten Free! Once inside the small crowded cafe, I grinned from ear to ear. Shelves were lined with not only gluten-free but allergy-free bake goods: breads, cupcakes, cookies, and so much more. I filled my arms with dairy-free, soy-free, gluten-free, egg-free treats–foods I hadn’t tasted in years–and headed to the busy counter to order lunch. I always have trouble ordering in any restaurant, but this time it wasn’t because of my food allergies but because there were so many selections to choose from! Check out the menu. This is what I ate. 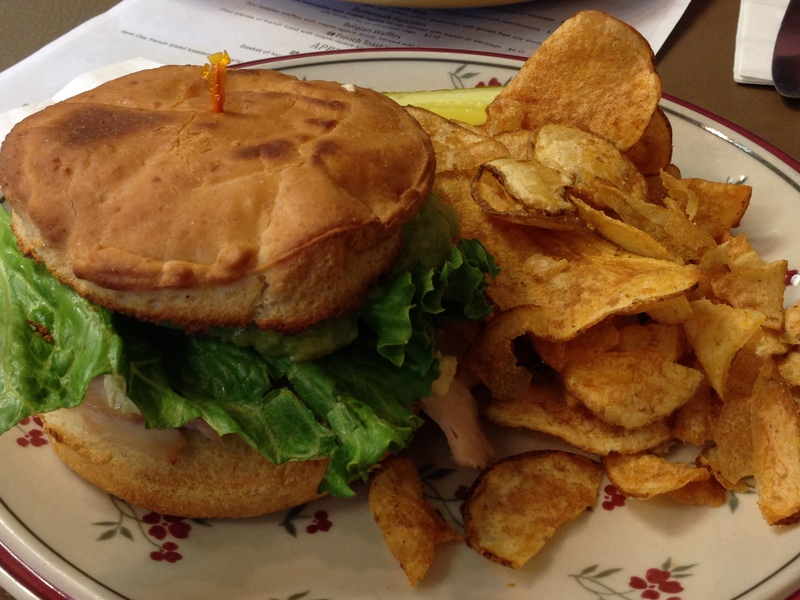 I even bought a sandwich with homemade chips to take with me for the next day’s lunch. When I told the owner, Kelly Patrick, how much I enjoyed my meal, she said New Day Gluten Free is the restaurant she dreamed of when she was newly diagnosed with celiac disease. Believe me when I say New Day Gluten Free is the restaurant all of us with celiac disease, gluten intolerance, and food allergies dream of! I know I’ll be dropping by the next time we are in St. Louis. I recommend you do too. 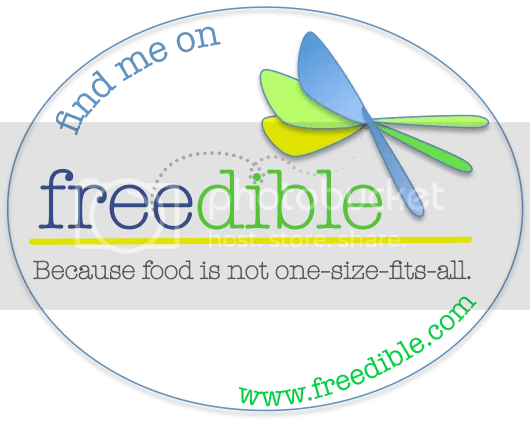 Visit my Pinterest Page for more gluten-free and allergy-free restaurant suggestions and iPhone apps. 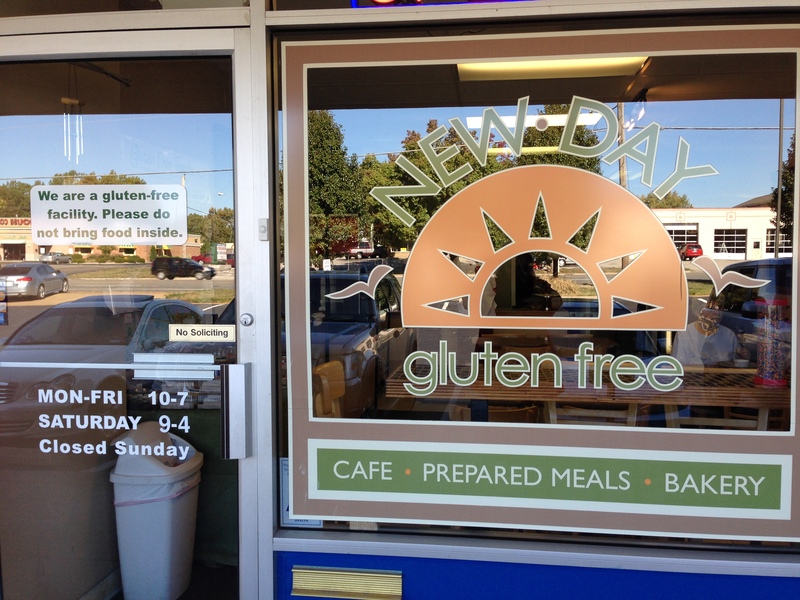 “An Allergic Foodie’s Pick: New Day Gluten Free in Ellisville, MO” originally appeared in Adventures of An Allergic Foodie. You were in my neck of the woods! I’ve never made it out to New Day, but sounds like I need to! Go hungry! 🙂 They also have a lot of prepared cold foods like soups and pizza, which I didn’t get to try, but I will bring a cooler and take to my son in Nashville the next time I drive through! Absolutely love New Day! Its so awesome to have SO many options. They have the best GF bread, too!! Its the only GF bread I care to eat. Sharon, You are lucky to live near New Day! I’m jealous. Looks like I need to find an excuse to visit Missouri! Great review! Thanks, Jodi. I can’t wait to go back there.